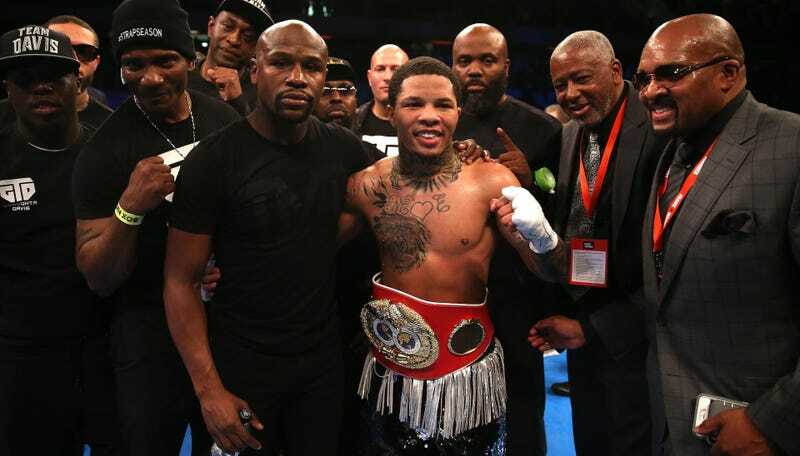 TMZ Sports and the Baltimore Sun report that boxer Gervonta Davis was arrested early this morning and charged with disorderly conduct after he got into a fight outside of a D.C. nightclub. Davis reportedly argued with Ricardo Jose Rodriguez over a $10,000 bill around 3:00 a.m., and they took it outside, where they got into a fistfight. According to TMZ, both men tried to run from the scene before being arrested. They obtained a video of Davis after the fight. Davis, who is part of Mayweather Promotions, has a 20-0 record with 19 KOs. He fought on the undercard of Mayweather-McGregor, although he was stripped of his WBA super featherweight title when he missed weight. Davis won back his championship this April, and he’s said he wants to fight again this year. Davis was released today, and while he did not comment to TMZ or the Sun, he tweeted that he was okay. Javier Fortuna Falls Out Of Ring, Is Removed On Stretcher By Paramedics; Opponent Says "He Was Looking For An Excuse"